This 1928 hotel is said to be haunted; the spirit of a little girl is rumored to reside on the 19th floor. A ghostly couple wearing formal attire also has been seen. My partner and I stayed here last night, I chose the hotel because it was historic (I work in historic preservation). Other than that, we had no prior knowledge of the hotel. At 3:30 am this morning, a quarter was lifted, dropped, and then spun on our desk. We both were taken aback, because the quarter did not fall from anywhere, it was laying flat. It also spun for a prolonged period of time, and we just laid there, in disbelief. You can imagine how this noise cut through the silence of the night. Immediately afterward, the heat came on, as there was a cold spot near the desk. This morning, I asked the front desk attendant about the incident. She told me it was probably the little girl playing, and that the housekeepers see her and hear noises all of the time. Despite all that, I would stay again. I was attending a conference a couple of months ago and my two friends were staying on the 18th floor and invited me up so we could meet and figure a plan for dinner. While sitting there they told me the hotel was haunted and about noises they heard from the vacant floor above. Just as I was about to roll my eyes we all clearly heard what sounded like a marble bouncing on a hard floor coming from above but on the far right side of the room. My friends said “Seeee!” A few minutes later we heard the same sound coming from the opposite far left side of the suite and it happened multiple times on both sides. Later we went up to the vacant floor to have a look and the entire floor was carpeted. Kind of creeped me out! 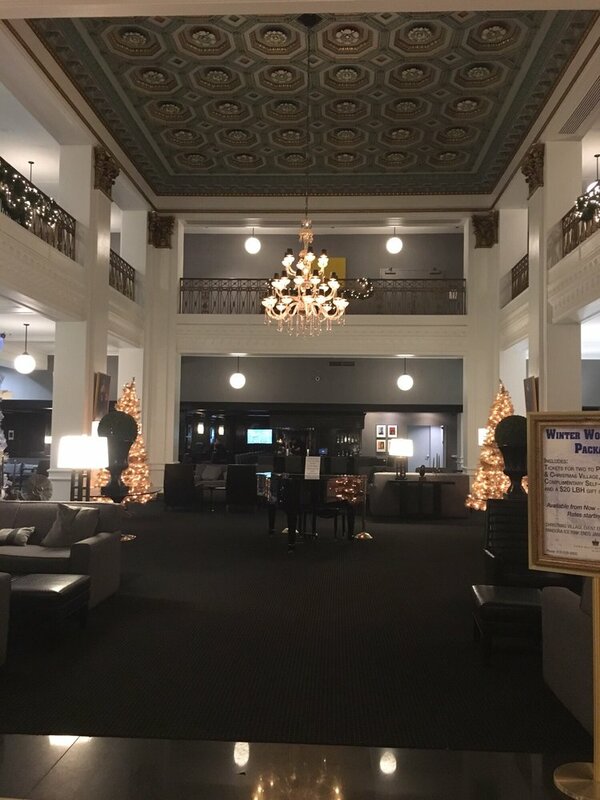 My husband and I stayed here after a holiday party at the Ravens stadium. We arrived back at the hotel close to 2 am and when we got on the elevator, it took us to the 19th floor. We kept pushing to button for our floor, but the elevator would just close its doors and open right back up on the 19th floor. We just thought the elevator was malfunctioning so we wandered around the floor for a little while and then found steps down to our floor. Nothing else happened that night. Instant goosebumps. Even my husband, who is a non-believer was a little freaked out. I stayed there is week for one night for a work trip. I knew nothing about the ghost stories. At 2:10 am I awoke from a dream/nightmare with four little girls, who all looked the same, playing in the hall in a white dress. I awoke and started to say my prayers. It felt like someone was in my room with me and the sheets on the bed would tighten, like someone was moving on top of the sheets. The next morning I was telling my coworker about the dream with the four little girls and then we Googled the Lord Baltimore and ghosts and were freaking out to learn about the little girl ghost. My room, on the 9th floor, also smelled really musty late in the evening and the next morning even though the a/c was on all night. We went to the 19th floor for drinks in the evening and also visited the ballroom, two places where “Molly” was often seen but I only saw her in my dreams!